Designer of interactive user experiences for web and mobile products. Specialties include work flow analysis, user research, wireframing, and rapid prototype development. 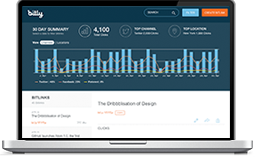 Customer dashboard for viewing social audience engagement analytics. 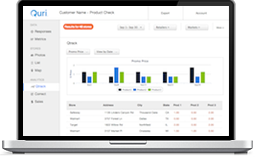 Customer dashboard for viewing retail audit data and campaign trends. 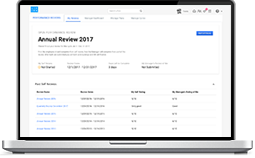 A suite of HR tools focused on identifying and rewarding internal talent. 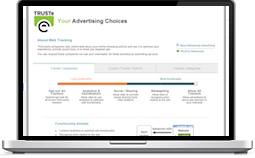 Behavioral advertising opt-out tool that provides controls for managing ad tracking. 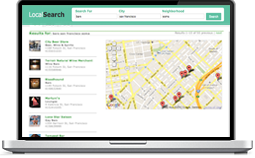 Search tool for local business, including user profile for favorites and list creation. iOS and Android app designs for Bitlink platform management. Redesign of the Survey Flow interaction of the EasyShift app. Update of the Bloomberg Terminal for tablet and phone interfaces. Apartment Finder app which lets users search by neighborhood type. Feed aggregator app for organizing and viewing Twitter, Facebook, and RSS feeds. Over ten years experience with product design and development for web and mobile, including customer research and requirements definition, user testing, interactive and visual design, prototyping, and production release. Able to translate product requirements into fully interactive product demos, collaborate effectively with engineers, stakeholders and customers, and experienced managing agile product design teams. UX Lead for product team for HR platform suite. Managed the Talent app team and drove product development for apps for identifying and retaining talent. UX Lead for product team for brand marketing analytics platform. Produced user flows, wireframes, interactive prototypes, and led user research for product development. UX Designer for product team for retail analytics platform. Produced user flows, wireframes, interactive prototypes, and led user research for product development. UX Designer for product team for web privacy services. Produced user flows and interactive prototypes, conducted user research, and drove thought leadership initiatives for privacy design. Production Designer / UX Researcher for usability consultancy. Produced design recommendations, wireframes and prototypes, and operated all aspects of the usability lab. Master of Science (MS), Information Management & Systems. Bachelor of Arts (BA), Communications. Associate of Arts (AA), Graphic Design.